Bulls took breather on March 20 after consistent run for previous seven consecutive sessions. Benchmark indices closed mixed while the broader markets finished lower as breadth was in favour of bears. The 30-share BSE Sensex rose 23.28 points to 38,386.75 while the Nifty50 fell 11.40 points to 11,521 after consolidation, forming bearish candle on the daily charts. 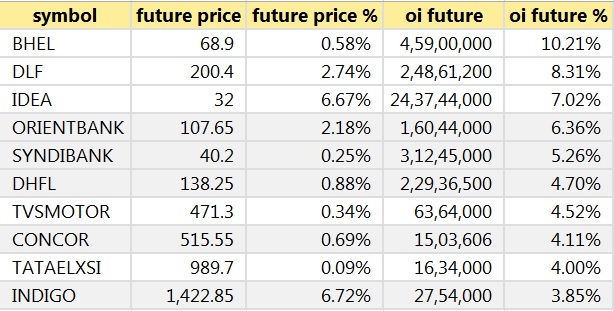 The positive momentum remains intact in the market, experts said, adding any consolidation always makes market healthy, hence after current rangebound movement the Nifty is likely to face resistance at around 11,600 levels, considering the strong FII flow. "A small body negative candle has been formed, on March 20, at the swing high of 11,553 levels, which indicates a rangebound action in the market at the highs. We observe a choppy trending patterns, in the last few sessions, but there is no confirmation of any reversal pattern at the highs," Nagaraj Shetti - Technical Research Analyst, HDFC Securities told Moneycontrol. He said the near term uptrend of Nifty is intact and the next short term upside resistance to be watched at 11,605 levels. According to Sahaj Agrawal of Kotak Securities, some consolidation is expected in the near term before Nifty attempts to conquer 11,800-12,200 on the higher side. Support on the downside is seen at 11,100-11,200 levels, he said while advising a buy on dips strategy as benchmark indices remain in a structural uptrend. The Nifty Midcap index slipped half a percent and Smallcap index dipped third of a percent as two shares declined for every share rising on the NSE. The equity market was shut on March 21 for Holi. 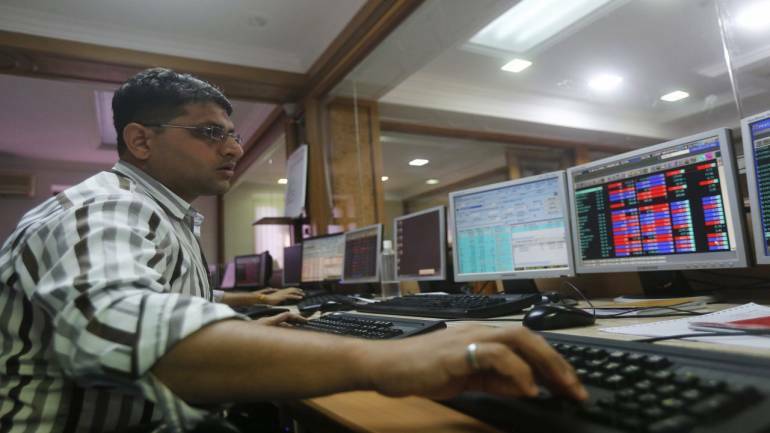 The Nifty closed at 11,521.05 on March 20. According to the Pivot charts, the key support level is placed at 11,497.37, followed by 11,473.73. If the index starts moving upward, key resistance levels to watch out are 11,550.37 and 11,579.73. "Index trading above pivot point placed around 11,510 will accelerate upmove taking it higher towards immediate resistance zone 11,587-11,600 levels; however, a close below the strong support (11,480) will push prices lower towards 11,410 levels," Shabbir Kayyumi, Head of Technical Research at Narnolia Financial Advisors said. The Nifty Bank index closed at 29,832.20, up 64.35 points on March 20. The important Pivot level, which will act as crucial support for the index, is placed at 29,682.07, followed by 29,531.93. On the upside, key resistance levels are placed at 29,933.77, followed by 30,035.33. Maximum Call open interest (OI) of 26.94 lakh contracts was seen at the 11,500 strike price. This will act as a crucial resistance level for the March series. This was followed by the 11,600 strike price, which now holds 23.81 lakh contracts in open interest, and 11,700, which has accumulated 20.75 lakh contracts in open interest. Significant Call writing was seen at the strike price of 11,600, which added 7.36 lakh contracts, followed by 11,700 strike, which added 4.68 lakh contracts and 11,800 strike that added 3.38 lakh contracts. Call unwinding was seen at the strike price of 11,400 that shed 2.29 lakh contracts, followed by 11,100 strike that shed 1.55 lakh contracts and 11,300 strike, which shed 0.52 lakh contracts. Maximum Put open interest of 42.55 lakh contracts was seen at the 11,000 strike price. This will act as a crucial support level for the March series. This was followed by the 11,200 strike price, which now holds 26.41 lakh contracts in open interest, and the 11,500 strike price, which has now accumulated 26.33 lakh contracts in open interest. Put writing was seen at the strike price of 11,500, which added 5.51 lakh contracts, followed by 11,000 strike that added 4.42 lakh contracts and 11,200 strike that added 2.52 lakh contracts. Put unwinding was seen at the strike price of 11,300, which shed 1.71 lakh contracts. Foreign Institutional Investors (FIIs) bought shares worth Rs 1,771.61 crore while Domestic Institutional Investors (DIIs) sold Rs 1,323.17 crore worth of shares in the Indian equity market on March 20, as per provisional data available on the NSE. Automotive Stampings & Assemblies: Company will announce its January-March quarter earnings on April 24. V-Guard Industries: Company's meetings with Mutual Funds organised by Jefferies India on March 25 and 26. 3M India: Meeting with Senior Equity Fund Manager from HDFC Standard Life Insurance Company is scheduled on March 22. Finolex Industries: Investors/Analysts meet arranged on March 22 and 25. Aster DM Healthcare: Meetings with investors/analysts to be held on March 25 and 26. Laurus Labs: Company's official will participate in Motilal Osawal-Annual India Ideation Conference 2019 on March 25. Frontline Securities: Board meeting will be held on March 26 to consider proposal of buy-back of the equity shares of the company. Essar Shipping: Board meeting is scheduled on March 27 to consider and review the operations of the company. CCL Products (India): Board meeting is scheduled on March 23 to consider declaration of interim dividend for the financial year 2018-19. Mahindra Logistics: Group Meeting (warehouse site visit) with various Analysts is scheduled to be held on March 22 at Pune. Mahanagar Gas: Company's officials will meet Lazard Asset Management USA and HSBC Securities on April 3. India Energy Exchange: Company's official will participate in Motilal Osawal-Annual India Ideation Conference 2019 on March 25. DCM Shriram: Company's official will participate in Motilal Osawal-Annual India Ideation Conference 2019 on March 25. PSP Projects: Company's officials will meet Securities Investment Management Private Limited on March 22. PG Electroplast: Board meeting is scheduled on March 25 to consider the allotment of 22,40,000 equity shares at a price of Rs 125 per share to the promoters on preferential basis. Siemens: Company's officials will meet SBI Funds Management Private Limited on March 22 and Aditya Birla Sun Life AMC Ltd on March 29. The Investment Trust of India: Material subsidiary of the company, ITI Reinsurance Limited has bought back 5,43,60,000 equity shares of Rs 10 each from its shareholders. ITI Reinsurance Limited has become a wholly owned subsidiary of the company. ABans Enterprises: Board approved acquiring Abans Jewels Private Limited, a entity owned by Promoter and Managing Director, Abhishek Bansal and Non-Executive Director, Shriyam Bansal. Piramal Enterprises: Company repurchased 3,500 debentures having face value of Rs 10 lakh. An aggregate 1,500 debentures shall remain outstanding. Adani Transmission: Board approved the buy-back of 10,000 non-convertible debentures (NCDs) aggregating upto Rs 1,000 crore from the existing debenture holders in one or more tranche. Greaves Cotton: Promoters of the company DBH International Private Limited [DBHI], Bharat Starch Products Private Limited [BSP] and Karun Carpets Private Limited [KCPL] said they are considering a Scheme of Amalgamation wherein DBHI, BSP and DBH Investments Private Limited will amalgamate into KCPL. Greenlam Industries: Board approved to increase the manufacturing capacity of the company to manufacture additional 1.6 million laminate sheets per annum. The capital cost of this brownfield expansion would be approximately Rs 25 crore. The expanded capacity is expected to be operationalized within a period of 9 months. Tata Steel BSL: Committee of Directors approved allotment of 420 crore - 11.09% non-convertible redeemable preference shares having face value of Rs 10 each for cash aggregating to Rs 4,200 crore to Tata Steel Limited (NCRPS Series II) on private placement basis. Zee Entertainment Enterprises: Company has redeemed 39,49,105 Series B Unlisted Preference Shares at Rs 10 per share and has paid pro-rata dividend for the period until March 20. Sun TV Network: Board appointed R Mahesh Kumar as an Additional Director as well as Managing Director; Kaviya Kalanithi Maran as an Additional Director and Executive Director; Sridhar Venkatesh and Desmond Hemanth Theodore as an Additional Directors (Independent). K Vijaykumar resigned from the post of Managing Director and Chief Executive Officer. IDFC First Bank: Bank sold the entire stake of 2,71,97,743 equity shares comprising approximately 8.37 percent of the share capital of Asset Reconstruction Company (India) Limited [Arcil]. Bosch: Company executed a joint venture agreement with Prettl India Private Limited. GMR Infrastructure: Delhi International Airports Limited (DIAL), a GMR led consortium has awarded the right to develop and maintain a commercial development project at Gateway and Downtown Districts of Aerocity with maximum permissible FSI of approximately 9 lakh square meter at Indira Gandhi International Airport to a consortium led by Bharti Realty Ltd.
Infosys: Company and Roland-Garros announced a strategic three-year technology partnership for digital innovation. Power Finance Corporation, REC: PFC acquired 52.63 percent stake in REC from Government of India, at Rs 14,500 crore. Indiabulls Ventures: Subsidiary The Investment Committee of ICFL, authorised execution of Share Purchase Agreement with Transerv Private Limited, to acquire upto 42 percent of its stake, in one or more tranches. Reliance Industries: Company has invested Rs 5 lakh in cash in 50,000 equity shares of Rs. 10 each of Reliance Navi Mumbai Infra Limited (RNMIL), a newly incorporated entity. RNMIL is incorporated with the purpose of undertaking real estate and related infrastructure activities. RNMIL is yet to commence its business operations. Bajaj Auto: KTM Industries AG (owned by Pierer Industrie AG) was informed by Pierer Industrie AG and Bajaj that they have started discussions on assessing the possibility of transferring Bajai's 48 percent stake in KTM AG to KTM Industries AG, with the Pierer-Group continuing to retain the controlling majority over KTM Industries AG. The transaction decision is targeted to be made in the second quarter of 2019. Rane (Madras): Company approved enhancement in investments upto $20 million in Rane Precision Die Casting Inc., USA (RPDC), step down subsidiary, through Rane (Madras) International Holdings B V, The Netherlands (RMIH), wholly owned subsidiary of the company, over the next five years. KIOCL: Government intimated the Request For Proposal (RFP) for engagement of book running lead managers (BRLM) for disinvestment of upto 15 percent paid up equity of company out of its shareholding of 99.06 percent through 'follow-on public offer' in the domestic market. BEML: Board declared interim dividend of Rs 4.50 per share of Rs 10 each for the financial year 2018-19. Board also approved 'Request for Proposal' for appointment of transaction advisor, legal advisor & asset valuer for disinvestment of company shareholding of 96.56 percent in subsidiary Vignyan Industries Limited. Manappuram Finance: Board approved acquiring 100 percent equity shares of Manappuram Comptech & Consultants Ltd and to make it a wholly owned subsidiary company of the company. Suprajit Engineering: Promoters K Ajith Kumar Rai and Supriya Ajith Rai said Supriyajith Family Trust acquired 38 percent shares of the company. Amit Spinning Industries: Power supply at the factory of the company which was disconnected in the year 2015 by Maharashtra State Electricity Distribution Company Limited (MSEDCL) has been resumed. GE T&D India: As part of the ongoing steps being taken by the Company to optimise the level of costs and to further improve the competitiveness in the Transformer business, it has been decided to right size the scale of operations in one of the factories which manufactures transformers at Naini, Uttar Pradesh. Krypton Industries: Company received an order of Rs 23.10 crore, to be fulfilled in between March 2019 to March 2020 for hospital equipment (wheelchairs) through dealer against Tender from ALIMCO, a Government of India Undertaking. Asian Oilfield Services: Company received a binding letter of intent from Oilmax Energy Private Limited for supply and O&M surface facilities for its Charaideo field. 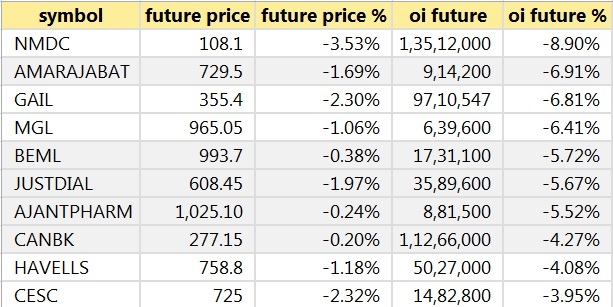 For March 20, Adani Enterprises, Adani Power, IDBI Bank, Jet Airways and Reliance Power are present in this list.